The existing conditions consist of a steep block of land with a steady incline from the front of the block and increasing towards the rear. Rounded reflective glass encompasses the front entrance while the majority of structure comprises of concrete and steel. 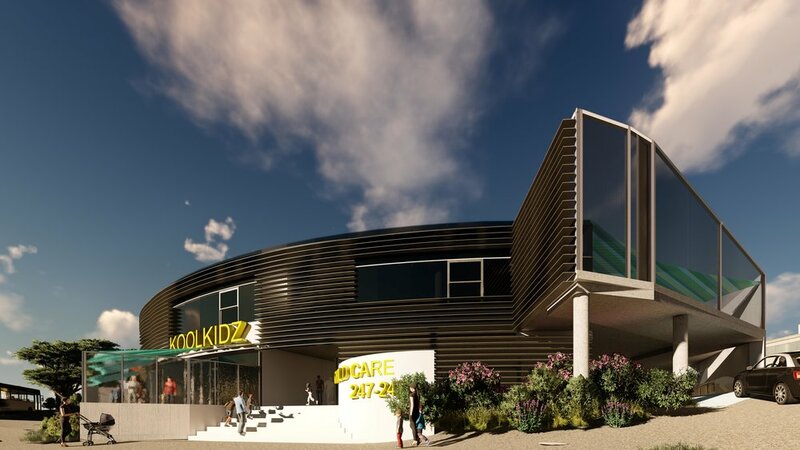 Due to the slope, the site offers certain affordances and would be well suited to a two storey plan with the existing carpark running adjacent to the building to be utilised as well.